We offer you a remarkable line of 100% natural bee products, made by Forever Living Products. They are the number one beekeepers in the world. Their beehives are in an ideal location where the pristine environment eliminates contaminants such as pesticides and pollutants. With the use of specially designed equipment, ingredients are gathered and preserved in the conditions nature intended. All of the bee products – Honey, Royal Jelly, Bee Pollen and Bee Propolis – are natural and nutritionally rich, and come directly from the hives to you – just as honeybees have been making them for thousands of years! Where Do Our Bee Products Come From? 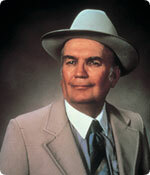 In 1982 Forever Living Products acquired Robson Bee Products, which was named after its founder and original owner, Charles Robson. A third-generation beekeeper in Arizona, Robson’s family came from Germany in 1812 where they had been beekeepers since 16th century. In 1958, Charles took over the family beekeeping operation. Starting with just 600 colonies, by 1978 he owned and controlled 10,000 colonies to be used for the production of hive products. 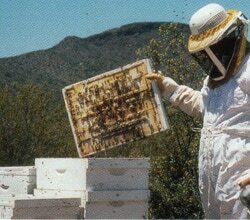 Today, there are between 17,000 and 20,000 colonies used for the production of Forever Living’s Bee Products. 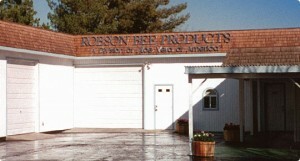 Robson Bee Products first opened its doors in 1958 in Phoenix, Arizona. Behind its unassuming facade is the largest manufacturer of hive products in the United States, and one of the largest in the world. Forever Living Products has owned and operated Robson Bee Products since 1982; with its increase in production over the years, several rooms have been added to this ever-expending facility. Forever Living’s exceptional line of quality bee products is manufactured exclusively at Robson Bee Products in Phoenix, Arizona. Only the finest ingredients are used, most of which are gathered from hives located in the high Sonoran desert of Arizona. This exceptionally clean, pesticide-free environment, and its abundant variety of flowering plants, makes it an ideal source for natural bee products. Today, Forever continue to use state-of-the-art, specially designed electric pollen collectors to gather and preserve the ingredients in the condition nature intended. And our pure, natural honey is handled with care and never altered or diluted. Forever’s bee products are the purest you’ll find anywhere. Natural and nutritionally rich, from the hives directly to you – just as honeybees have been making them for thousands of years!